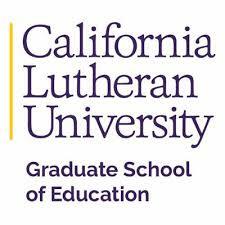 The Graduate School of Education at California Lutheran University (Cal Lutheran) invites applicants for a tenure track Assistant or Associate Professor of Education and department chair beginning in fall of 2018. Cal Lutheran has recently become a Hispanic-Serving Institution (HSI) and we are looking for candidates with a demonstrated commitment to and success working in diverse, multicultural and multiracial communities. Cal Lutheran encourages applicants from all faiths, and advocates for justice and fairness for all people. Cal Lutheran is an accredited, private, comprehensive university that engages students in critical inquiry and is dedicated to educating leaders for a global society. The campus is located midway between Santa Barbara and Los Angeles, and is home to 2,810 undergraduate and 1,316 graduate students who come from more than 61 countries and represent a variety of faiths. 49.8% of Cal Lutheran students are international students or from underrepresented groups, and over 42% of freshmen are first generation students. The Department of Learning & Teaching offers credential programs in Multiple Subjects (elementary), Single Subjects (secondary), and Educational Specialists (Mild to Moderate, Moderate to Severe, and Deaf and Hard of Hearing). Common responsibilities for the position include teaching in the programs, student advisement, and service to the university and broader community. The chair responsibilities will include departmental oversight, scheduling, faculty and staff development, and outreach to the community. The chair position will be for a three-year term (with the potential for renewing) and will require summer duties as assigned.